In the U-11 competition, it was Clare’s U-11 team that took the honours beating a talented Kerry side. Kilrush 4-7 Liscannor 3-0 Kilrush travelled to Cooraclare last Sunday and came away crowned minor champions for 2009. Kilrush were the better team on the day, closing down Liscannor all over the pitch, with aggression and will to win. Clare 2-3 Kerry 2-5 THE U-12 side were unlucky to lose the Michael Cullinan final for the second year in a row to a fine Kerry team. Claire Madigan, St John’s, and Jason Fahy, Olympic Harriers, won the Clare Athletics Association senior cross-country races, which were held with the juvenile B championships from U-9 to U-15, on the lands of the Hannon Family, Newmarket-On-Fergus, on Sunday. 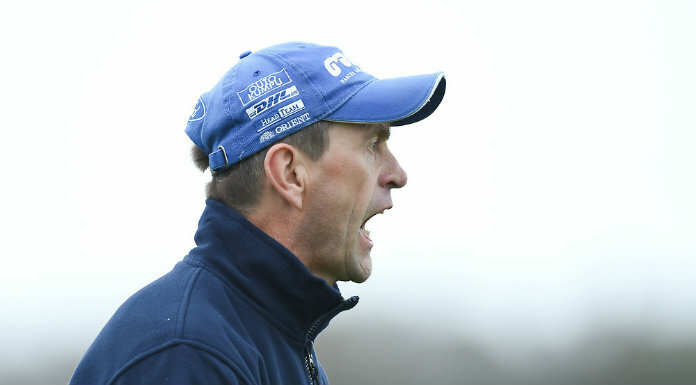 LAST week’s two-day Punchestown fixture proved a happy ground for Clare trainers, with both Lorna Casey and Donie Hassett featuring among the winners at the Kildare track.